We walked in and were not disappointed, the condo was everything we expected and more. LOVED IT!! Would book it again! The condo was awesome. Very clean and relaxing. The property was well located. Central to most of the attractions we wanted to visit. An abundance of restaurants and activities right in the area. 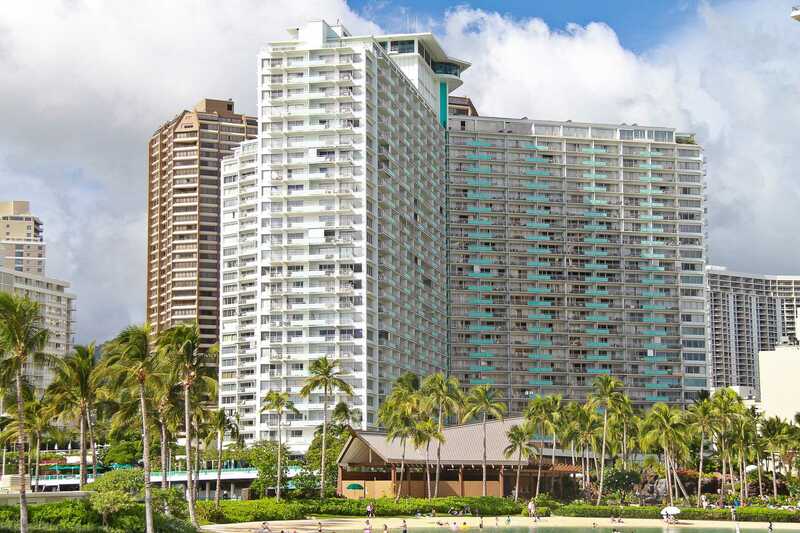 Great location in Waikiki as it is in the center of everything. Great views of the ocean with surfers, paragliders and passing ships. 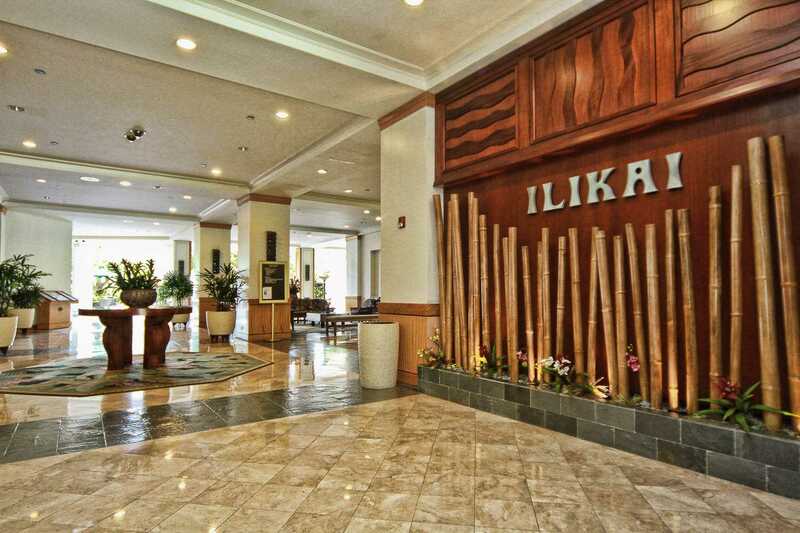 Ilikai 1308 is the perfect condo, great location, beautiful view, quiet for sleeping in a great bed. Comfy furniture, couldn't ask for anything more. Will definitely stay there again when in Hawaii. Also loved having the beach chairs. Beautiful view, comfortable bed, full sized kitchen stocked with everything you would need to make a home cooked meal in a wonderful location. Sunsets from the lanai were breathtaking, every evening it got real! Very nice condo with updated kitchen. 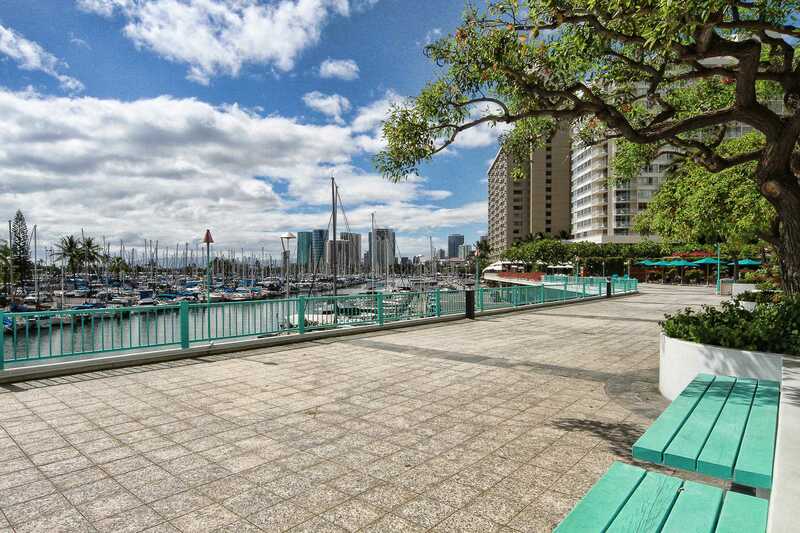 Great location near Waikiki Beach and wonderful view over the marina. I would definitely stay here again. Condo had most of the amenities we needed, great view, quiet location, easy access, car rental across the street and easy walking distance to the shopping mall. As noted by other reviews the A/C is louder than expected, we shut it off and opened the Lanai most days and evenings. Unfortunately when it rained or the wind was strong we needed to close the sliding door (hard to lock sometimes). Liked the keyless entry - no keys to lose. Decor was nice - bathroom could use a few small improvements (toilet, shower head). Overall we were very happy with this property. We enjoyed our 8-night stay in Ilikai 1308. Itis nicely updated and has a lovely ocean & marina view. Management quickly and efficiently resolved a minor plumbing issue. We would happily stay there again! 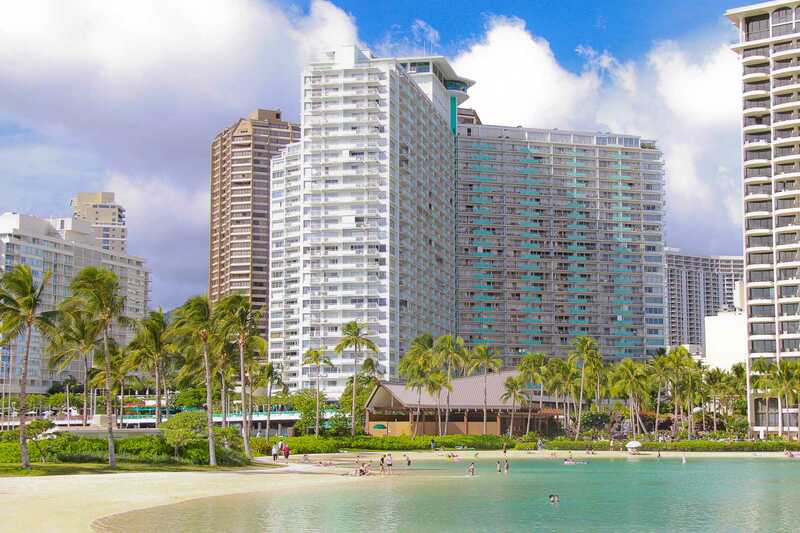 We had a great stay in this condo, have stayed at the Ilikai many times but this was the first time in 1308. The Ilikai is a wonderful location if you want to be a bit further away from the hubub of central Waikiki, there are excellent transport connections, supermarket and Alamoana Mall less than 5 minutes walk away and Friday night fireworks viewing on the downstairs courtyard.Off the pictures I was concerned the condo may have been quite dark inside but this wasn't the case, during the day there is plenty of natural light.The condo is as described, clean, tidy, uncluttered and while we were there the wifi/television connection was updated throughout the building and the tv is now truly HDR on every channel.To make 1308 perfect improvements could include a couple of floor rugs either side of the bed, a few inexpensive storage containers with lids for the safe food storage in the refrigerator, some more optional white lighting in the living area for night time, a quieter modern on-wall air conditioner but most of all a full length mirror please - there is a perfect space on the white wall outside the bathroom opposite the dining table - the ladies of the family like to have a check of appearances before leaving home :)Would definitely book this condo again. My husband and I celebrated my retirement from teaching? We were very pleasantly surprised with our unit as it is so conveniently located close to everything. Our unit overlooked the marina, Cinnamon Cafe/Bistro, and the pools of the Modern Hotel. 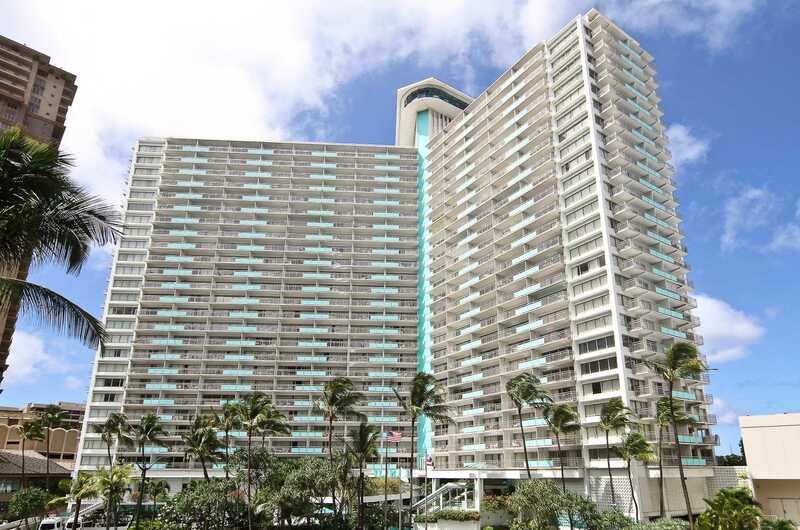 We loved the amenities of the kitchen, the lanai, & were grateful for the air conditioning. We also loved how we were able to view the sunset each night as the unit faced West. Transportation (busses, trolleys, taxis, shuttles, & special tour busses ) stop right out front and the local food pantry was just a few short blocks away to purchase groceries, and sundries. The reason we gave the unit a 4 as opposed to a 5 was because of the bathroom, and when we got there my husband stepped on a piece of glass which was perhaps overlooked or unnoticed when housekeeping cleaned. He was barefooted. Also u dear the bed there were big balls of dust. And the toilet could stand to be updated. Otherwise, it was a most excellent unit. 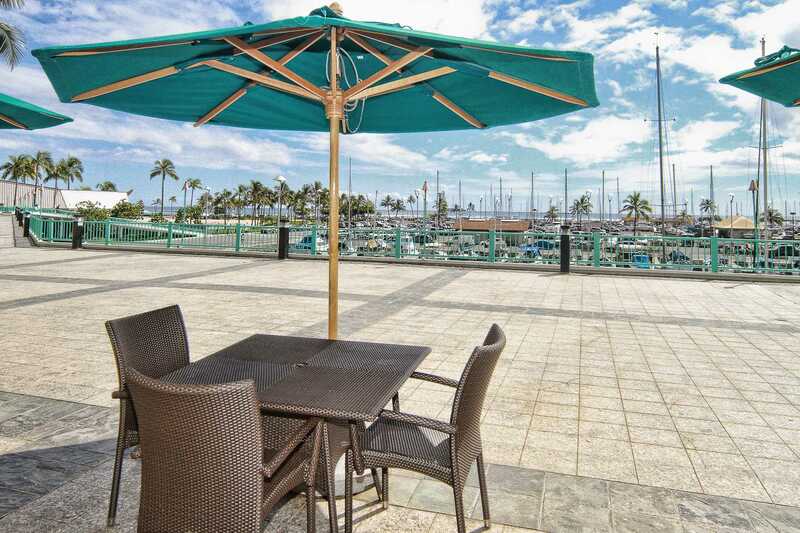 The lanai had a table with 4 chairs, and 2 comfortable rattan chairs and small wicker table in between. Another provision which we appreciated were the 2 beach chairs neatly folded up beach chairs and a big beach bag? Mahalo. We are glad the Guest had a good experience. As mentioned in the instructions, condo info sheet and confirmation, Guests are to call if there was anything missed. Daily we have staff in the Ilikai who can respond same day. We hope to be offering this Guest a Returning Guest Discount soon for their next trip. We will definitely book again with you. Your staff was very helpful, sorry I don t remember the name of the lovely lady who helped me. The condo was exactly as you stated. We were close to the lagoon, the beach, and walking distance to many different shops and restaurants. The bed was comfortable and relaxing on the lanai watching tge surfers was great. Being near Cimmarron's was an extra bonus! !Thank you! We had a wonderful stay in condo 1308. Condo was clean and very well maintained. We enjoyed the incredible sunset views each night. We are already talking about coming back in January and hopefully 1308 will be available. Hawaiian Vacation Properties is the best! Thank you so much! Our advertising, Reservation Confirmations & Condo instructions all describe the paid parking. Our website & the Hawaii Visitors website have suggestions about activities & events. Our Concierge & the Hotel Concierge are also very helpful. Of course, Guests can always call us about any questions they have. Our short 4 night stay in 1308 at the Ilikai was absolutely perfect. The view from the lanai was fantastic, giving us beautiful sunsets every night. The furnishings and kitchen was 100% as advertised. The kitchen was so new and beautifully updated that I wish I had it in my house. The furniture was very comfortable and updated very nicely as well. We couldn't have asked for anything more. As a matter of fact, I considered not writing this review as it would bring more guests to the unit and thus make it harder to rent in the future. We very much intend to come back to the Ilikai and this unit in the future but for a much longer stay next time. This is the first time we have stayed at this end of Waikiki and now prefer it. Everything we needed was within walking distance and the fireworks on the beach on Friday nights is an added bonus. HVP made it so easy to book it, gain access and depart. The whole experience was perfect. We will definitely be back. I would definetely want to return some day, and I would recommend staying at apartment 1308. I recently stayed at the Ilikai Suites in condo #1308 and the room was exactly as advertised. The view from the lanai was breathtaking and the room had every amenity needed for a very comfortable stay. 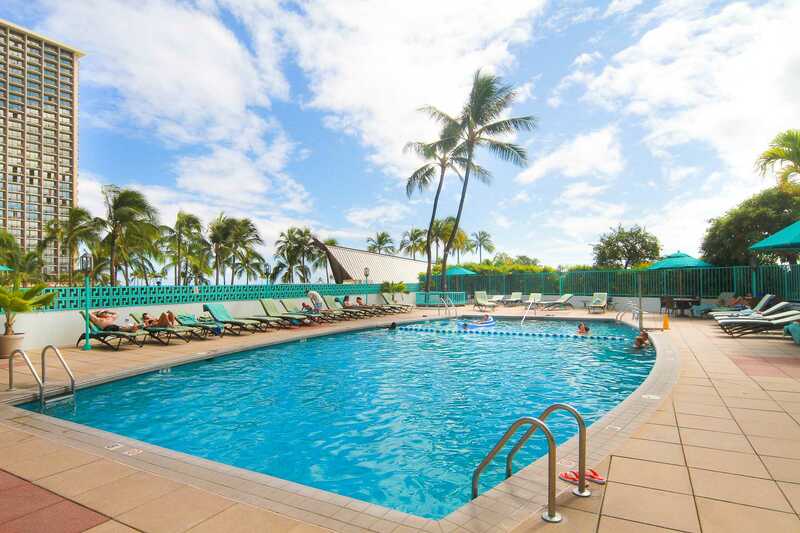 I rented through Hawaii Vacation Property and it was hassle free as well as the best deal I found in Honolulu. I would definitely recommend this room, I am very meticulous when searching for rental properties and this is the best deal out there. Only thing I had a problem with was the bed was a little bit firmer than I prefer, but I like an extra soft bed. 1308 was almost perfect...very clean, really well equipped, everything we needed...wonderful view and great lanai for breakfast, sunset cocktails and the occasional dinner...the only comment we would make is that the air-con is noisy...Kat had it checked out for us as soon as we raised it and we were advised that was normal..we live in the tropics and have ceiling fans running all day...and never air-con at home...so we were able to sleep as we are used to whirring fans overhead when we are in bed, but it was a little annoying...it was too hot to sleep with the doors open...we would certainly stay again in 1308 if it is available when we can go next...even with the air-con!!! would be great to find a quieter air-con unit and even ceiling fans!!!! Response: Thank You for the wonderful feedback. We have addressed all the items mentioned. We look forward to offering you a Return Guest Deal! Great position - magnificent sunsets every night! Well-equipped condo and very caring and attentive management. This was our third stay in an Ilikai condo. 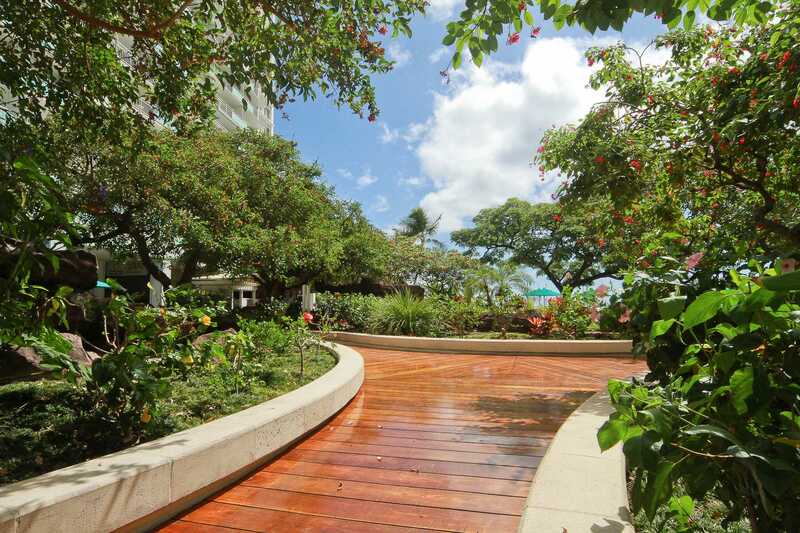 It's Waikiki's best kept secret. Very nice condo with a beautiful view and upscale furnishings and appliances. All in excellent condition! This unit is absolutely nice and I will rent it again next time I visit. I love the view the breeze from the ocean. We spent a lot of time in the balcony to watch sunset..read and have breakfast. Room is clean..I love it! We were very comfortable here. The condo is even better than portrayed in the pictures. 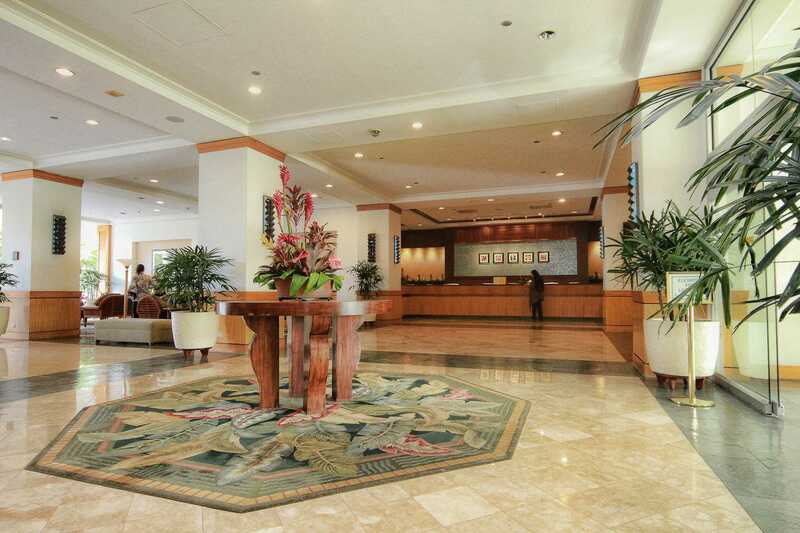 The location is perfect for people who want access to a Waikiki, but not be right in the middle of crowds. Transportation to shopping via trolley, bus, or walking is right out the front door. It was delightful to have our coffee each morning on the balcony and watch the marina and the surfers start another day. The king size bed is extremely comfortable. We would definitely book this suite again.